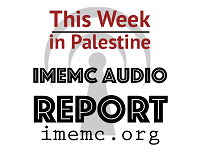 Welcome to this Week in Palestine, a service of the International Middle East Media Center, www.imemc.org, for June 18, to the 24, 2016. As Palestinian Leadership calls on EU to help establishing two stats; Israeli attacks this week leave two killed Palestinians. These stories, and more, coming up, stay tuned. Let’s begin our weekly report as usual with the nonviolent activities organized in the West Bank. scores of protesters were treated for the effects of tear gas inhalation on Friday as Israeli forces attacked nonviolent protests organized in West Bank villages. At the nearby villages of Bil’in and Ni’lin, Israeli soldiers attacked the protesters as soon as they reached the gate in the wall that separates local farmers from their lands. Many protesters suffered the effects of tear gas inhalation and were treated by field medics at both locations. Addressing the European Union Parliament, Palestinian president Mahmoud Abbas, called on Europe to help realize a two-state solution between Palestinians and Israel and that a fair solution for the problem of Palestinian refugees is reached. The president’s call was met with an Israeli refusal, as Israeli prime minister, Benjamin Natanyahou, considered Abbas’s remarks as incitement against Israel. Abbas described the Israeli occupation of Palestine as a land theft and a massacre against the Palestinian people, due to Israeli displacement of hundreds of thousands of indigenous Palestinians, back in 1948. This comes following Israeli rejection of withdrawal beyond 1967 border lines, including the Gaza Strip, West Bank and East Jerusalem. Earlier, Arab states relaunched a peace initiative of their own that calls for the realization of a Palestinian statehood, in return for full normal relations between Arabs and Israel. Palestinian Authority had supported the Arab initiative and agreed to a French initiative for an international peace conference, in which contentious Palestinian-Israeli issues, be discussed. France calls for the resumption of peace talks between Israel and Palestinians. In the Gaza Strip, the ruling Islamist Hamas party called on the Palestinian Authority in Ramallah to cut off ties with Israel, considering peace talks as futile and aimless. Hamas says that peace talks can not work , while Israel continues illegal settlements construction, within the occupied Palestinian territories. The Palestinian Health Ministry has reported that a young Palestinian man died, on Sunday evening, from serious wounds he suffered on May 4th, after Israeli soldiers shot him during an invasion of Sa’ir town, northeast of Hebron. Arif Jaradat, 22, was shot with live Israeli army fire, and died of his serious wounds at the al-Ahli hospital, in Hebron City. The slain boy suffered from Down’s Syndrome. Later in the week, Israeli troops shot and killed Mahmoud Badran, 14, on Tuesday at down, meanwhile four other young Palestinians were injured, near the central West Bank city of Ramallah. Mahmoud was returning home, along with his friends, after swimming in a pool in Beit Sira nearby village when soldiers opened fire at them. The attack took place close to Beit Liqya nearby town. The Israeli army claimed that the soldiers opened fire on several Palestinians, who reportedly hurled stones on military vehicles and settler’s cars, driving on a nearby bypass road. Later in the day the Israeli army admitted that the child was just a bystander. Also on Tuesday, two Palestinian civilians were wounded when Israeli forces invaded Nour Shams refugee camp, east of Tulkarem in northern West Bank. A number of Palestinian civilians were engaged in a stone-throwing incident at the Israeli soldiers, who fired live ammunition, gas and sound bombs at the stone-throwers to disperse them. As a result, two civilians were wounded. During the week, Israeli forces conducted at least 61 military invasions into Palestinian communities in the West Bank and in occupied East Jerusalem. During these invasions, Israeli troops kidnapped more than 54 Palestinian civilians, including 8 children. In Gaza, Mohammed Qreiqe’a23, from al-Shuja’iyah neighborhood, east of Gaza City, was wounded, Saturday, after a bomb left by the Israeli army exploded near him. Moreover, Israeli navy ships attacked Palestinian fishing boats off Gaza city shoreline on Sunday and Monday of this week. Damage to boats was reported but no injuries. For IMEMC News this is George Rishmawi. And that’s all for today from This Week in Palestine. This was the Weekly report for June 18, to the 24, 2016. From the Occupied Palestinian Territories. For more news and updates please visit our website at www-dot-imemc-dot-org, This week’s report has been brought to you by Maher Qassiss and me Ghassan Bannoura.